Orange UK and T-Mobile UK have finally integrated – with all employees now working for Everything Everywhere Limited. 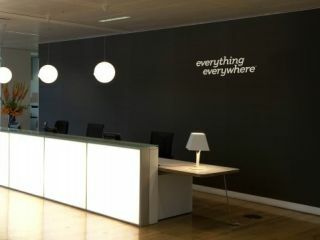 The company has announced the integration and confirmed the new (and all-encompassing) Everything Everywhere name, and is now rebranding everything from the key headquarters buildings to the business cards. Tom Alexander, Chief Executive of Everything Everywhere Limited said: "The formal integration of our new company, Everything Everywhere Limited, is another major milestone and reflects the rapid progress we have made over the past nine months. At least it puts pay to us calling the amalgamation T'Orange, although the new name does sound a bit like something a Greek God would claim. The new company has already confirmed that all stores will stay open.